Last-Minute Holiday Guests? 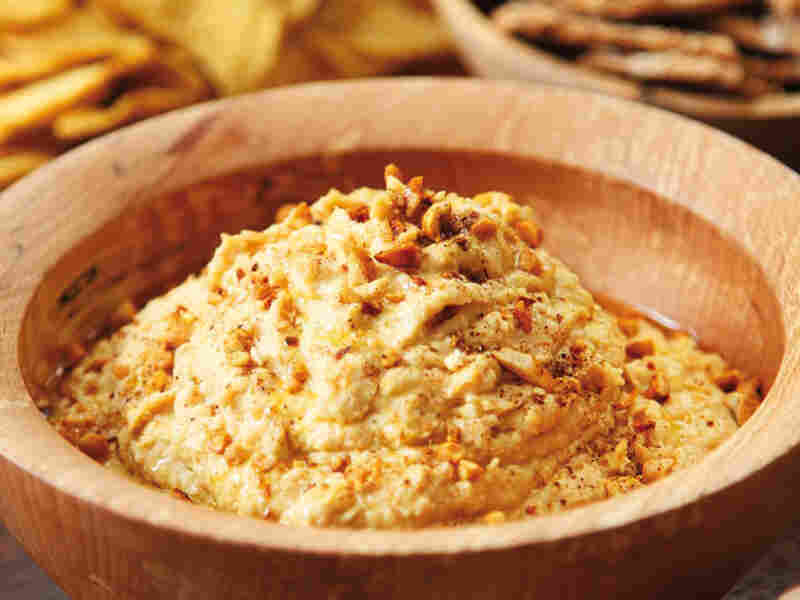 Nigella's Here To Help From peanut butter hummus to "dirty" Prosecco, chef Nigella Lawson shares some simple solutions for holiday entertaining. She talks with NPR's Steve Inskeep about quick appetizers, drinks and desserts that are sure to please the guests. 'Twas the night before Christmas, and all through the house ... harried hosts were bracing themselves for an onslaught of in-laws and out-of-town relatives. But chef Nigella Lawson insists that entertaining doesn't have to be stressful, and has some simple solutions for holiday hosts. Lawson's most recent cookbook, Nigella Kitchen: Recipes from the Heart of the Home, is filled with inventive recipes. She talks with NPR's Steve Inskeep about the secrets behind some quick appetizers, drinks and desserts that are sure to please the guests. A dish doesn't have to be complicated to be successful, Lawson says. Take her Sherry-Glazed Chorizo, which requires a grand total of two ingredients. Lawson discovered the dish in a tapas bar in Seville — which she says keeps her from feeling that she's just being lazy whenever she cooks it. "This is really [just] chorizo sausage," she explains. "You slice [it] into coins, and then cook [it] until it slightly colors and scorches — and then at the last minute I splash in some sherry." Lawson uses a cream sherry — "which would make some people raise an eyebrow," she admits — but she likes the "extra sweet note" it provides. The whole recipe takes less than five minutes, start to finish. Sherry-Glazed Chorizo may just be meat on a plate, but it's ideal for company, Lawson says — the sausage is lightly glazed by the sugar in the sherry, and glistens attractively on the appetizer tray. Lawson loves what she calls the "unholy trinity" of sugar, salt and fat that "makes each mouthful very more-ish." Moorish? No no, Lawson says — more-ish. "It means you always have to have more." Lawson describes her second more-ish (and Moorish) recipe as one of her "greatest discoveries of this year." Her Peanut Butter Hummus substitutes peanut butter for the standard tahini sauce usually used in hummus recipes. "Tahini's really sesame butter," Lawson explains. "It's just crushed sesame seeds. I used peanut butter, and rather than normal, slightly pale hummus, you get one that's more like [the color of] the brown envelope you might get a bill in — and it's absolutely fantastic." And simple. "Really all you're doing is putting in a blender some chickpeas, a garlic clove, some olive oil, peanut butter, bit of lemon juice and some salt," Lawson says. She also likes to "whiz it up" with a little bit of thick yogurt and ground cumin. The result is "the most fantastic puree," which can be smeared into little pita pickets, or presented in a bowl along with breadsticks. "It's quite useful at this time of year," Lawson says. Put it out with some drinks and it's a "friendly mixed-generational snack." Plenty can be done with the leftovers. "This would be fantastic on toast and great on sandwiches," Lawson says. "It's the sort of thing that you'd want to be eating when you watch TV with a very cold beer in front of you." 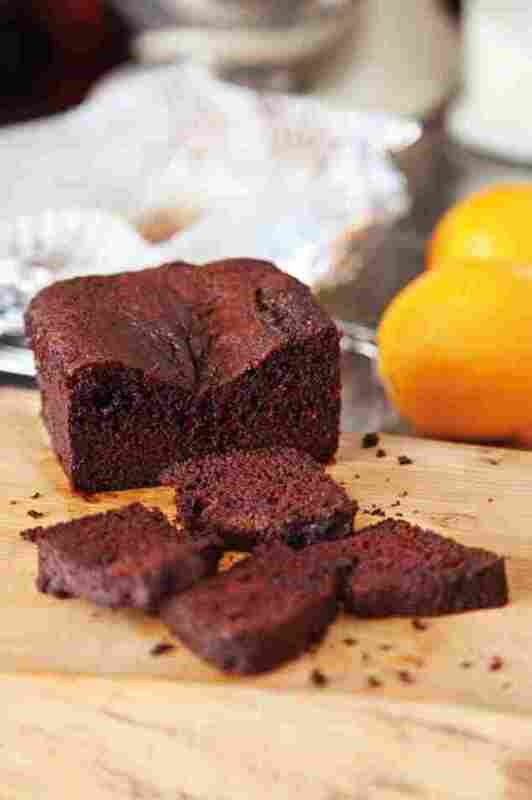 For dessert, Lawson recommends the Chocolate Orange Loaf Cake, inspired by traditional Christmas treats. "It's the sort of cake that used to be called in old-fashioned England a 'cut and come again' cake," Lawson explains. "Someone comes by, you take their bonnet and hang it up, and slice them a bit of cake. And they sit with a cup of tea or coffee, and then go on their way until your other visitors arrive." 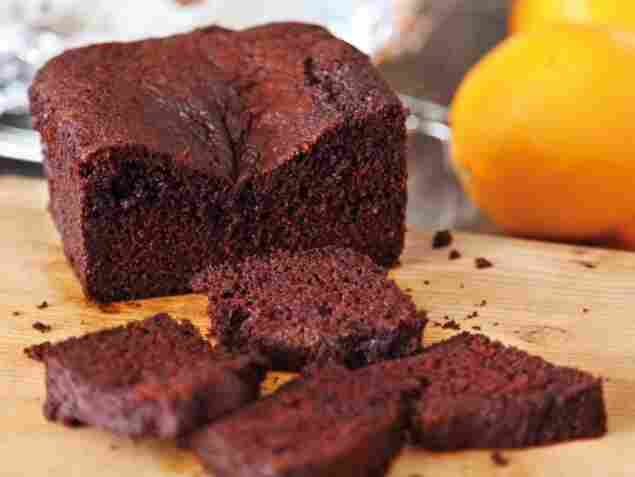 It's just like a chocolate pound cake — until you add the zest of two oranges and orange juice. "It's quite intensely orange-y," Lawson says. "In England, at any rate, chocolate orange is a very Christmas flavor — that's our idea of a treat this time of year." There's no icing, and that's OK — Lawson says that every once in a while people need to be reminded that "a plain cake that is not frosted can be a very deep pleasure ... it doesn't have to be over-sugared or over-fancy." As for serving drinks, Lawson has a plan for that, too. "I have a real weakness for a drink that the chic northern Italians call Prosecco Sporco, which means dirty Prosecco," she says. "I translate it as filthy fizz"
Traditionally, Lawson says, Prosecco Sporco mixes fizzy Prosecco wine with a small slug of Campari — "which is not at all dirty," she insists. "It's a beautiful bejeweled red — very, very good for the time of year." For a little extra holiday cheer, Lawson recommends adding something extra to the mix. You know those gingerbread lattes you can get at coffee shops this time of year? "Ask to buy a bottle of the gingerbread syrup," Lawson advises. "A splash of that in Prosecco is a wonderful way to go." And mixing drinks doesn't have to be a spectator sport, Lawson says. "I don't mix an awful lot, so I make [guests] hold their own glass — they've got to do something — I have a Prosecco in my right hand and my splashing liquor of gingerbread syrup in my left. I pour an almost full glass, and then I add a teeny bit of Campari. Then the drink "fizzes up in delight," she says. "And so does your guest." 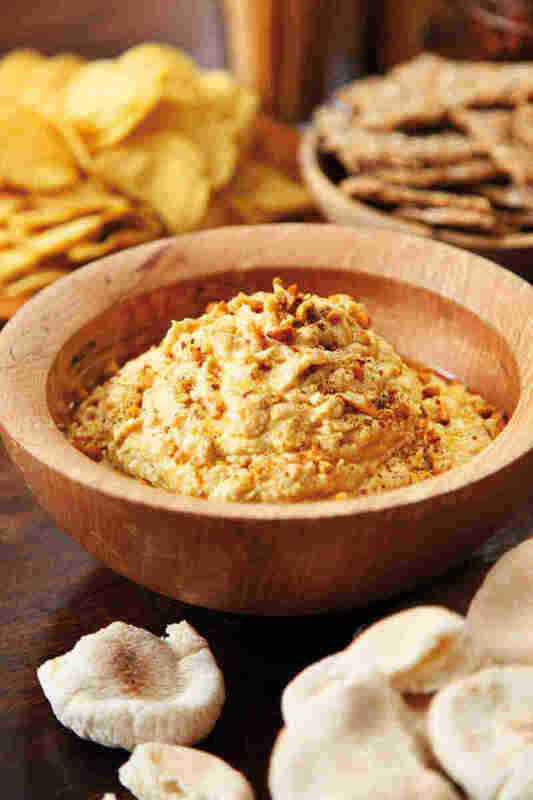 Peanut butter hummus doesn't have an elegant ring to it, but elegant is exactly what this is. Rather than using tahini, which is in effect sesame butter, I use peanut butter. Is it dreadful to say I prefer this? It is gorgeously filling, but without the slight clagginess that tahini can give. I mean, in the right mood I adore the palate-thickening clay of tahini, but a little definitely goes a long way. Although I think this version possesses a certain manila-tinted chic (despite the kindergarten appeal of its title) that makes me happy to bring it out to eat with cocktails when I have people over, I am even happier to have a batch in the refrigerator to pick at, spreading it over spelt crispbread or a piece of rye toast, when the mood takes me. The hummus can be made 1–2 days ahead. Transfer to non-metallic container, cover, and refrigerate until needed. Should be consumed within 2 days of making. Drain and rinse the chickpeas. Put the garlic clove, chickpeas, 3 tablespoons oil, peanut butter, lemon juice, salt, and cumin into a food processor and blitz to a knobbly puree. 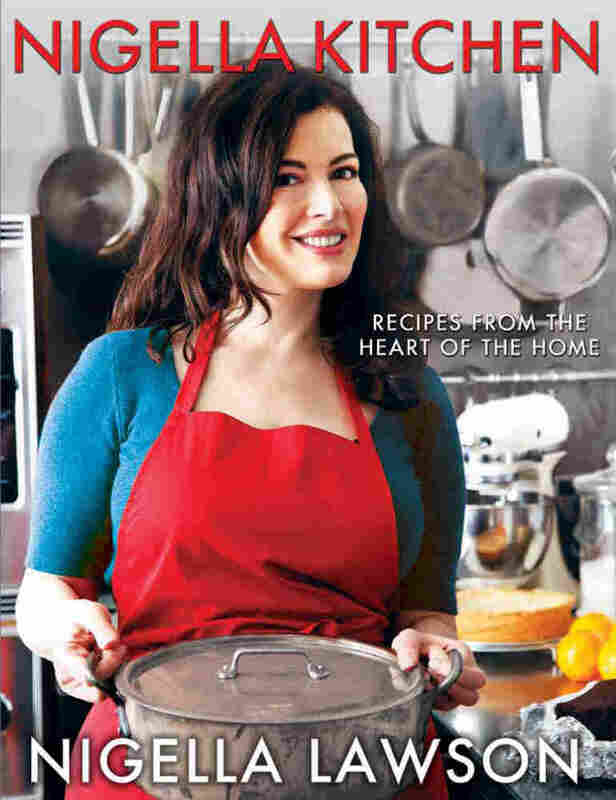 Excerpted from Nigella Kitchen: Recipes From The Heart Of The Home by Nigella Lawson. 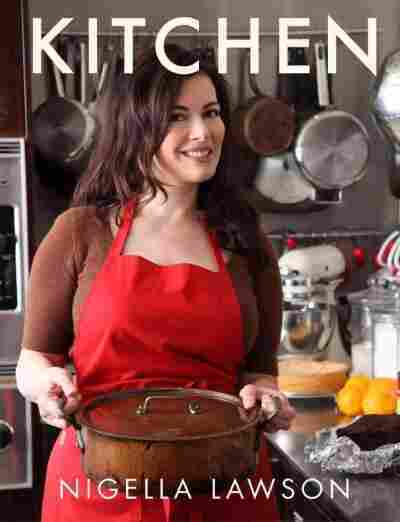 Copyright 2010 by Nigella Lawson. Excerpted by permission of Hyperion. A loaf cake is just the thing to have about your kitchen: it promises sustenance without showiness; and the rich and scented sombreness of this one confers more gravitas than the flighty words "chocolate cake" would seem to convey. But then this is no decadent fancy, rather a slice-able slab of cocoa-rich serenity. The chocolate is intoxicatingly present, deep and dark in taste, but the texture of its crumb is light. When I was a child, there was a chocolate bar that was advertised as "the sweet you can eat between meals without ruining your appetite." Hard to believe now, isn't it? However, the thing about this cake — which has a citrus tang so mellow it comes through as warm spice — is that you feel you can snaffle a slice mid-morning or mid-afternoon without feeling the slightest bit weighed down, digestively or psychologically. The cake can be baked up to 3 days ahead. Wrap tightly in plastic wrap and store in airtight container. Will keep for 5 days total. The cake can be frozen, tightly wrapped in a double layer of plastic wrap and a layer of aluminum foil, for up to 3 months. Thaw overnight at room temperature. Carry on beating in the remaining dry ingredients and then add, still beating, the orange zest and finally, gradually, the juice. At this stage, the batter may suddenly look dimpled, as if slightly curdled. No need to panic! Pour and scrape into the prepared pan and bake for 45 minutes, though check 5 minutes before and be prepared to keep it in the oven 5 minutes longer if need be. A cake tester won't come out entirely clean, as the point of this cake, light though it may be, is to have just a hint of inner stickiness. Let cool a little in its pan on a wire rack, then turn out with care and leave on the rack to cool.